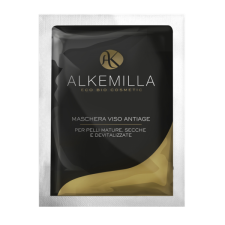 ALKEMILLA Eco Bio Cosmetic is an Italian company engaged in the production of organic cosmetics with the aim of offering a safe and guaranteed product that respects the environment and the animals. 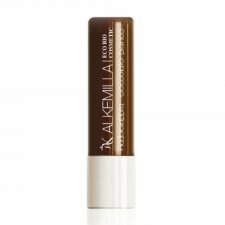 ALKEMILLA Eco Bio Cosmetic combines in its formulations the most innovative cosmetic technologies combined with the precious wisdom of nature. 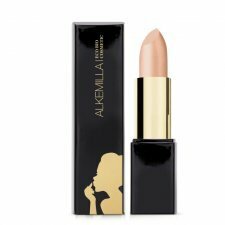 ALKEMILLA cosmetics represent the highest guarantee in organic cosmetics, boasting certifications such as QC CERTIFICATIONS, AIAB, LAV, VEGAN QUALITY as well as being tested on Nickel, Chrome and Cobalt with a presence of heavy metals equal to 0.0001%. Anti-age face mask, specially formulated to fight the signs of ageing, giving the skin vitality, elasticity and smoothness. Rich in vegetable oils, such as Jojoba, Olive, Almond and Argan oil, it has a superlative moisturizing effect on the skin, and combined with Vitis Vinifera, rich in sugars, vitamins and mineral salts, it has a powerful anti-free radical effect. The formula also contains Termos Thermophilus, a bacterium that flourishes in thermal springs at temperatures around 150°. It has a powerful antioxidant effect, activated either by light or heat, and it strengthens the resistance of the skin's outer layers to the effects of UV rays. Aloe, Basil and Marshmallow extracts complete the action through their exceptional moisturizing and restorative properties Instructions: Apply half a sachet onto the face and neck and leave for 15 minutes. Close the packet and store in a cool dry place for a future application. Baby talcum powder, suitable for the most sensitive skin, gives a refreshing soothing, protective and absorbent effect thanks to the organic extracts of Mallow and Chamomile in sunflower oil.Allergen and preservative free, tested for chrome, Nickel and Cobalt, this powder protects your baby's sensitive skin. How to use: sprinkle the powder directly on your baby's skin. High-coverage corrector stick, enriched with precious vegetable oils, such as jojoba and apricot kernel oil; it blends seamlessly with the complexion without accumulating in the creases of the skin. Its formula neutralizes dark circles under the eyes, blotches and imperfections. Thanks to the shea butter and plant-derived squalane it is intensely moisturizing, making it the skin's perfect ally prior to the application of foundation and for routine re-touching. Shampoo specially formulated to guarantee absolute cleansing, leaving hair soft and shiny. Containing biological extracts like Orange, Chamomile, Lemon, and Nettles, this shampoo is perfect for daily use. The panthenol in the formula makes it possible for hair to reach its optimal degree of moisture, preventing dehydration and fragility. After drying, hair is glossy, soft, and moisturised. Alpha hydroxy acid balm of fruit extracts of Lemon, Mango and passion flower. Ideal for eliminating skin impurities and the starting product for the Glycolic line treatment plans as it pre-acidifies the skin. Extracts of Linen, Almond, Aloe and Sunflower help to make this product soothing and nutritious for any type of skin. Acid Pre-Treatment can be used daily even outside of the Glycolic Intensive Treatment System. Mode of Use: In the Glycolic Intensive Treatment System, dab the areas to be treated before using the products in the treatment plans. For daily use, use as an astringent and sebo-normalising tonic. Hyperactive Face Cream, specially formulated for the Anti-Aging and Anti-Blemish plan of the Glycolic Intensive Treatment System. Glycolic acid 12% has an exfoliating action as it stimulates production of collagen and elastin, together with vegetal squalane with a regenerating action of microcirculation, with stimulating caffeine. These complete the hydrating and emollient action of the extracts of Sunflower, Linen, Aloe and Almond, while the alpha hydroxy acids extracted from Lemon, Mango and Passion flower give the skin a luminous and florid appearance.Mode of Use: Apply morning and night after using the Glycolic Acid Pre-Treatment. In the first three applications rinse with water after 5 minutes; then avoid rinsing and apply Hyper-Hydrating Glycolic Cream. Hyperactive face gel mask formulated with a high concentration of glycolic acid and fruit acids obtained from extracts of Lemon, Mango and Passion flower. It contains hydrating agents such as Linen, Sunflower, Almond and Aloe, which make the product hyperactive as well as hydrating and soothing. The mask 24% is indispensable in the Anti-Aging Glycolic Intensive Treatment System. Mode of Use: Dab the Glycolic Acid Pre-Treatment, apply the Glycolic Mask 24% and leave for 5-10 minutes before rinsing with plenty of water. Apply Glycolic Hyper-Hydrating Cream. Fresh and pleasantly perfumed gel based on premium active ingredients derived from organic crops. Fresh and pleasantly perfumed gel based on premium active ingredients derived from organic crops. It has been studied to delicately cleanse and sanitize the hands without the need of rinsing. It works in just a few seconds and dries rapidly without leaving any residue while protecting the softness of the hands. A colling cream with prolonged effect, ideal for sensitive skin with capillary fragility, effective in the cosmetic treatment of localized fat and cellulite. The natural menthol combined with extracts of Eucalyptus and Peppermint generates an immediate feeling of freshness on the skin; Caffeine with lipolytic and thermogenic potential, moisturizing and firming fine vegetable oils (sweet Almond and Sesame oil), nourishing Cocoa butter and soothing Aloe extracts make the skin toned, firm, smooth and supple. Intimate wash specifically formulated for girls in the prepubertal age (3 - 12 years), based on Organically Grown Aloe Vera juice, formulated with natural surfactants and enriched with Extract of Mallow and Organic Rice Starch with emollient, soothing and rebalancing properties, and Raspberry Water extracted from organically grown raspberries. 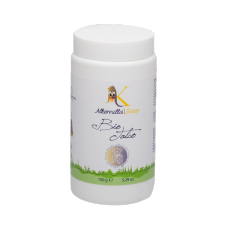 The combination of hydrolysed wheat proteins and a Neutral pH of 7.0 guarantee delicate cleansing especially for baby girls and girls in pre-puberty. Instruction for use: Distribute a small quantity and rise. Intimate wash based on Organically Grown Aloe Vera and essential oil of the tea tree plant. It is formulated with natural surfactants and is enriched with extract of Calendula and Wheat Germ Protein that give it softening, soothing, emollient and nourishing properties that protect even the most sensitive skins. Instruction for use: Distribute a small quantity and rise. 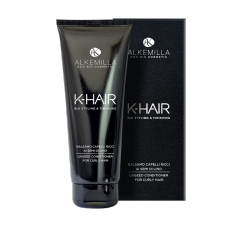 Innovative conditioner with powerful de-tangling and softening effect. Thanks to the organic extracts of Linseed, Almond Coconut and Sunflower, it is the perfect partner for soft voluminous and bouncy curls. The organic extracts from Millet and Oat are exceptional for restructuring and combine with the anti free-radical power of Vitamin E and Hydrolysed Quinoa. The innovative, ultra-light texture leaves hair with residue-free, soft, nourished, shiny curls, even in the days following its application. Shampoo formulated to guarantee the best results in terms of washing, softness and nourishment. The organic extracts from the Linseed, Almond, Sunflower and Coconut have a powerful restorative and elasticising effect, nourishing the hair deeply. They are joined by an anti free-radical action from the polyphenol rich Vitamin E and Hydrolysed Quinoa. The organic extracts from Millet and Oat complete the action providing hair with correct hydration.